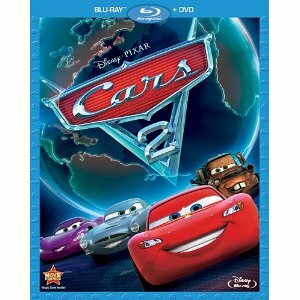 WorldMovieStore - Lightning McQueen (voice by Owen Wilson), Mater (Larry the Cable Guy), Sally (Bonnie Hunt), and the rest of the gang from Radiator Springs return to the screen in this sequel to Pixar's Cars (2006). While serving on Lightning's pit crew, Mater inadvertently gets mixed up with two British secret agent cars, Finn McMissile (Michael Caine) and Holley Shiftwell (Emily Mortimer), who are investigating a plot to sabotage the race. Cars 2 is screening with Toy Story Toons: Hawaiian Vacation, a new short with Woody, Buzz, Barbie, Ken, and the rest of the Toy Story gang. --Charles Solomon. Read More Sinopsis. 0 Response to "Blu-ray Release Cars 2"